Nuts are packed full of benefits which includes heart health due to their Omega 3 fatty acids. Walnuts, which are shaped liked the human brain actually help with brain health. 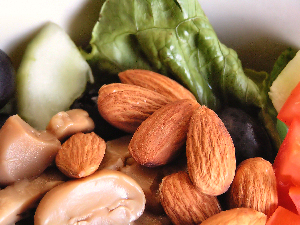 Walnuts and almonds are one of the healthiest foods you can add to your diet. Studies have also shown that those who consume these on a regular basis have better weight control, are thinner and had reduced LDL cholesterol levels. Nuts can also lower inflammation which is one of the deadliest conditions of the body as it leads to all types of diseases. These foods also can lower the risks of certain types of cancers. While Decades ago the thought was that the fats in these foods were detrimental to one’s health but it is now known they have tremendous health benefits. They are called raw when they have been harvested and then dried and will store for a good period of time. These have been kept cool and not subjected to roasting or high temperatures. So what is sprouting? Sprouting is the process of soaking the nuts for 8 or more hours to allow them to begin sprouting. But why do this? If they are so beneficial in their raw state, why sprout? 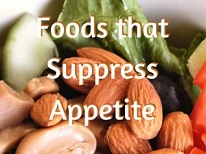 When they are raw, they contain enzyme inhibitors. These inhibitors prevent the seed from rotting or sprouting and keep them alive and viable in the wild until they are ready to germinate in the spring. When the nuts are subjected to the rains of spring, these inhibitors lose their grip and they are allowed to germinate and release their nutrients. When seeds are raw in the store, these inhibitors are still intact in the nut, meaning much of the nutrient value is still locked in place by the enzyme inhibitors. The entire digestive process, however is also inhibited. Raw nuts can actually destroy enzymes and are very hard for most people to digest. So the pancreas is forced to release large amounts of enzymes to digest them. In fact large amounts of raw nuts put a very heavy load on the pancreas. The pancreas can actually suffer damage from eating too many in their raw state. So as an option to only eating small amounts of these very beneficial foods, they can be soaked and sprouted. 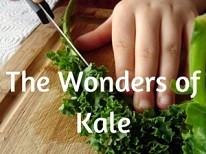 Sprouting then releases the vitamins, fatty acids, minerals and importantly, the enzymes greatly benefiting our health. The replication of the natural germination process also release the hidden strong taste. If you have ever considered raw nuts bland, try sprouting them. You will be very amazed at the difference in taste. Another addition is that the toxins are released into the soak water along with the breakdown of the inhibitors. The process begins with soaking the nuts for 8-24 hours in clean water with a little bit of sea salt added. The water can be changed halfway through the soak although this is not necessary. Drain and thoroughly rinse. All that brown colored water contains all of what you don’t want to consume and all the nutrients are now unlocked. The next step is critical. The nuts need to be either soon after the soaking, or thoroughly dried in a low temperature dehydrator. 95 degree circulated air for 2 1/2 days is a normal drying time in a dehydrator. They should not be heated above 110 degrees or they lose much of their fatty acid and nutrient benefit. Heating them at high heat is similar to the process of roasting, which destroys oils and turns them rancid. Sound like a lot of work? It really isn’t once you have done it once and especially if you have a good soaking container like the Easy Sprout Sprouter. This sprouter was mainly designed for sprouting seeds like broccoli or alfalfa seeds. But it makes the soaking and draining process a breeze. We have two of these at our home and use them regularly. However if you prefer not to sprout them yourself, there is a tremendous source of already sprouted nuts online. 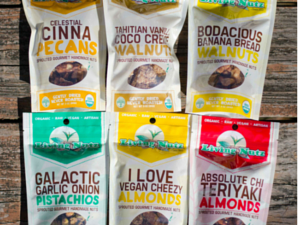 We wanted to share with you information on a tremendous little indie nut company called Living Nutz. The company offers nuts and related products that are on the high end but some of the cleanest and best specialty nuts you can find anywhere. We have purchased from the company since 2009 and have just ordered some specialty varieties for the Holidays. This is the type of company that many still are unaware of but should be known by anyone serious about great tasting or truly unpasteurized nuts. We also had the opportunity to catch up with Davey, the owner, for a recent video interview included in this article. Living Nutz is one of a very few sources of truly unpasteurized, raw almonds, sourced from outside the united states. All almonds from California are now pasteurized or at least fast steam cleaned, which destroys the alive nature of the nuts. Try to grow an almond that has been pasteurized and it will not grow. It is dead. 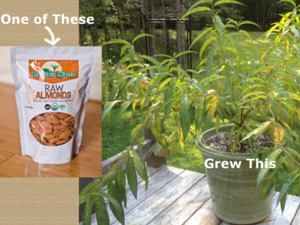 Here is a picture of a customer’s almond tree grown at home from a nut from Living Nutz – a living raw almond. But Living Nutz also supplies the almonds and other nuts already sprouted. This is a 5 day process with hand processing in smaller batches. 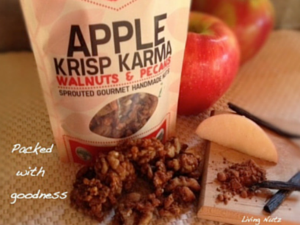 These are the cleanest and most health beneficial nuts we have found anywhere. A bonus with this company is their specialty flavored nuts. These are a bit pricey and high end but are a tremendous treat. We enjoy the Bodacious Banana Bread Walnuts and the Celestial Cinna Pecans around the Holidays especially. The Galactic Onion Pistachios are my favorite flavored nut. Be prepared if you order these, that the word Galactic is an accurate description. These are strong flavored and spicy. While at times I can eat a bag in one day, it is also easy to enjoy one small bag over the course of days as they pack such a strong flavor. You owe it to yourself to try them at least once. Living Nutz is the type of company that we greatly respect. They prepare their foods in the proper manner and in a way that preserves all the benefits for us, the consumers. They ethically stick with their mission of proving only the best quality nuts anywhere. Try some sprouted nuts from Living Nutz or sprout some at home yourself from nuts that are genuinely raw. You may find you enjoy them more than ever before.